Toggle Hooks designed and manufactured with extra strength to ensure long-lasting, high quality performance. 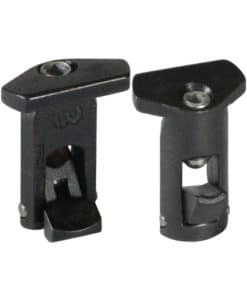 These die fixings are also referred to as toggles, dogs or clips. Why Choose Premium Toggle Hooks? This model was designed for the demanding conditions of high speed, auto-platen (flatbed) machines, but will still fit all honeycomb plates. Why Choose Original Toggle Hooks? 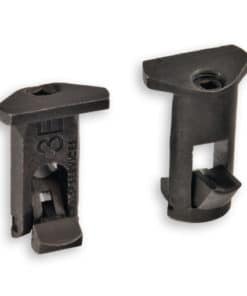 Original Toggle Hooks and Bunter Posts are designed for use on platen and cylinder machines. There are two diffferent sized heights of hooks available, standard and low profile. These standard toggle hooks are suitable for use with 17mm – 20mm Honeycomb plate which is the most common sized honeycomb plates. See our Toggle Hook Size Guide for more information on what Toggles you require.